I have tried alot of different milks but this is by far my favorite (non-cow milk). It’s new by Good Karma. Flax Milk comes in 3 different Flavors: Original, Unsweeted and Vanilla. Good Karma Flax Milk is Organic, Lactose Free, Gluten Free, Non Dairy, Trans Fat Free, Soy Free, Allergen Free, Vegan, Supports Green Farming and Omega-3s. This is great in shakes with french toast and even with some cookies. Previous Post Reviews for Whole Foods Market!! Thanks for the tip. 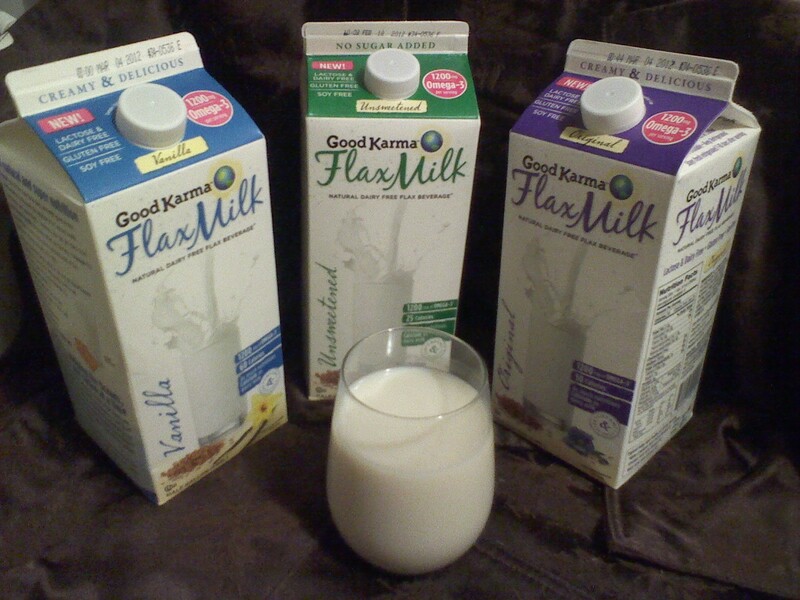 I haven’t heard of Flax Milk. I drink 365 brand almond milk all the time though and I love it. Flax seed has so many great benefits for the skin (I take flax seed oil pills in the winter to help with dryness) and I bet the milk would be a great nutrient boost as well. Awesome!! Never knew they make How many cals? Wow I’ve never even heard of this kind of Milk before! 😮 I’m a vegetarian and it’s always nice to find healthy alternatives to household favorites. What milk do you relate the taste of this to? I mostly just cook with milk so I usually buy the Trader Joe’s or the Almond Breeze almond milk because it lasts longer than regular milk. I will definitely try the flax milk if I find it at the store. Will do! 🙂 I’ll pick some up this week! 🙂 Seems like since we switched to only almond milk we go through 2x as much as regular milk!